Following the seven-year bloody reign of the deadly Boko haram terrorists in North East part of the country, Nigeria is yet again embroiled in another conflict that has killed thousands of people from 63 in 2013 to 1,229 people in 2014, according to the 2015 Global Terrorism Index. Boko haram militants, a sect keenly interested in establishing a caliphate in the northeastern Nigeria were declared the world’s most deadliest terrorist, according to the Global Terrorism Index 2015. For Seven years, they have killed more than 10,000 people, with more than 2 million people displaced in the region, the epicenter of insurgency since 2009. However, that changed slightly in the first four months in 2016 as the Fulani herdsmen took over from the terrorists, killing thousands of people in agrarian communities across north-central states in Nigeria. For instance, findings from the Council on Foreign Relations’ Nigeria Security Tracker show that Boko Haram have been responsible for fewer deaths than other sectarian groups in Nigeria combined. According to the foreign agency, which documents violence in Nigeria, many of the deaths in 2016 resulted from the herdsmen-farmer conflicts that have ripped through Nigeria’s middle and southern region. In addition, the Movement Against Fulani Occupation (MAFO), a group keeping track of Fulani attacks in Benue State, reported that more than 700 people have lost their lives in the herdsmen attack from January to July. In Agatu alone, more than 500 locals were killed in February 2016. In Nimbo, an agragrian community in Enugu state, more than 50 people were reportedly killed in the wee hours of April 25, 2016. In 2015, grim statistics shos that the Fulani herdsmen have been added to the shortlist of global terrorists. According to 2015 global terrorism index, Fulani herdsmen were named the fourth deadliest terror group in the world. Between 2010 and 2013, the herdsmen killed about 80 in total, but by the end of 2014, they had killed 1,229 people. From the condolence messages contained in the burial brochure, to some people I interviewed, everyone said something fascinating about Nwa-offor. Almost everyone shared wonderful memories with the gap-toothed seminarian. 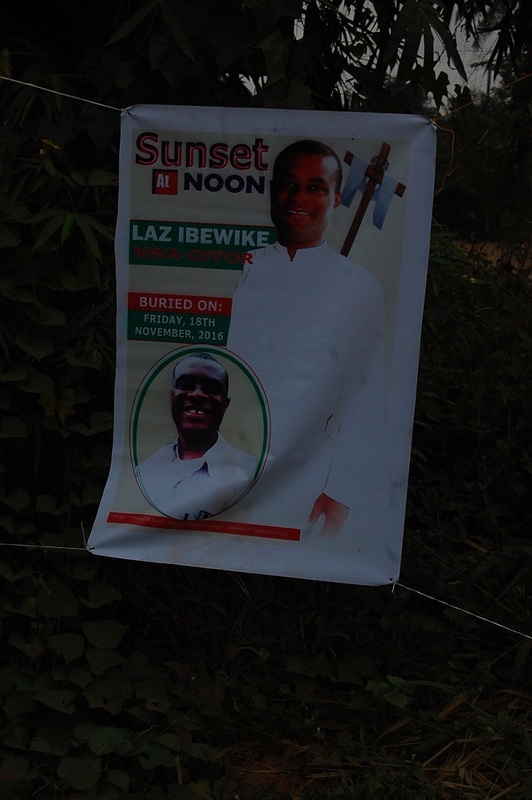 In no time, Nwa-offor was christened “Saint Lazo” who will be remembered forever. 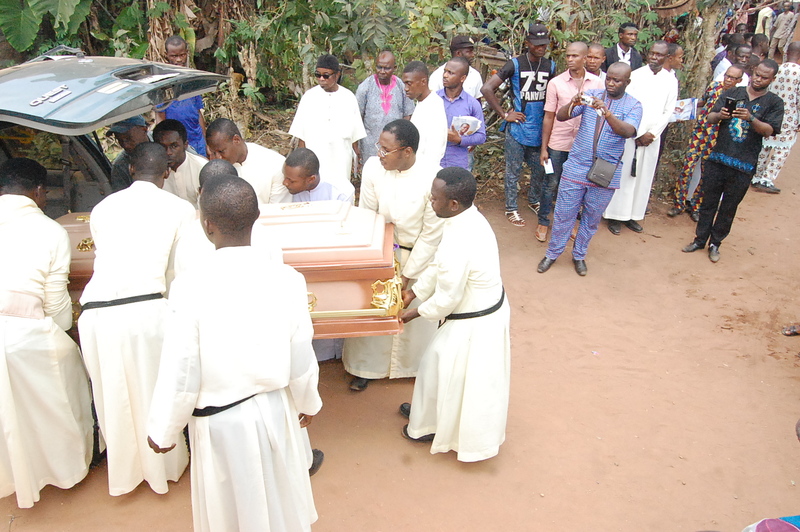 “He’s so gentle, humble, humorous, loving and caring that always finding a means of relieving people who are in pain, Reverend Sister Maria Egbujo writes in a burial brochure. “He’s a loving brother, a caring brother. He’s a nice guy, very humble, very gentle. In fact I am missing his inspirational words, advice,” said Agbo, Nwa-offor’s landlord. “He’s very studious and focused, he knows what he wants and goes for it,” his classmate, who doesn’t want his name to be mentioned because he wasn’t permitted to speak, told me. In Nigeria, especially in Imo state in south-eastern Nigeria where catholic priest are well respected and treated like spiritual celebrities, most parents in Imo state desire to have at least one priest or nun in their family, perhaps desiring the “Mama fada” or “Papa fada” sobriquets automatically given to priests’ parents. Mbaise, a large community in Imo, is reputed to house the highest number of priests in Nigeria. Indigenes say one family produces at least one priest. Although there are no official statistics to back it up, it is reported that Mbaise has produced the highest numbers of priests and reverend sisters in Africa. This is the stance of Augustine Ekechukwu, a revered catholic priest in Imo, who in an interview with Nigeria’s Saturday Sun also asserted that more than 400 of said priests and reverend sisters had been sent all over the world as missionaries. Nwa-offor was not from Mbaise, but his hometown, Umuokono-Okoro Ekwe nursed similar passions for priesthood. His sojourn to priesthood started in Umuowa Seminary School in Imo state 10 years ago but he dropped out of school because his family couldn’t pay his fees. Nwa-offor soldiered on and after a two-year hiatus, he returned to the seminary to pursue his dream. After returning from his missionary assignments in Uganda, Liberia and Ghana he proceeded to Spiritan International School of Theology Attakwu, Enugu where he studied theology. Studying to become a priest in Nigeria takes more than 10 years, depending on the religious congregation, a seminarian who preferred anonymity said in an interview. Moreover, according to Pastores Dabo Vobis, a post-synodal apostolic exhortation of Pope John Paul II, which serves as a global curriculum structured for seminarians, every seminarian must study Philosophy and Theology. Studying these two courses in seminary schools in Nigeria takes a period of four years apiece—this is structured after Nigeria’s undergraduate degree programme. Nwa-offor, who was in his early 30s, has spent part of his prime age studying to become a Catholic priest. He waited, for more than 8 years, for this dream to become a reality. But it never happened. In two years, Nwa-offor would have been clothed in a priestly chasuble, beaming with excitement, celebrating masses and hoisting the Blessed Sacrament as a holy sacrifice to God. Instead, his remains are shrouded in a white cloth, sleeping on his back, eyes closed, tightly blinded to the world that treated him unjustly. “Even though Nwa-offor did not become a priest on earth, he will be a priest to God in heaven,” Reverend Fr Dr Jude Ogbenna said, restoring the hope of a distraught crowd listening to him during the burial mass. 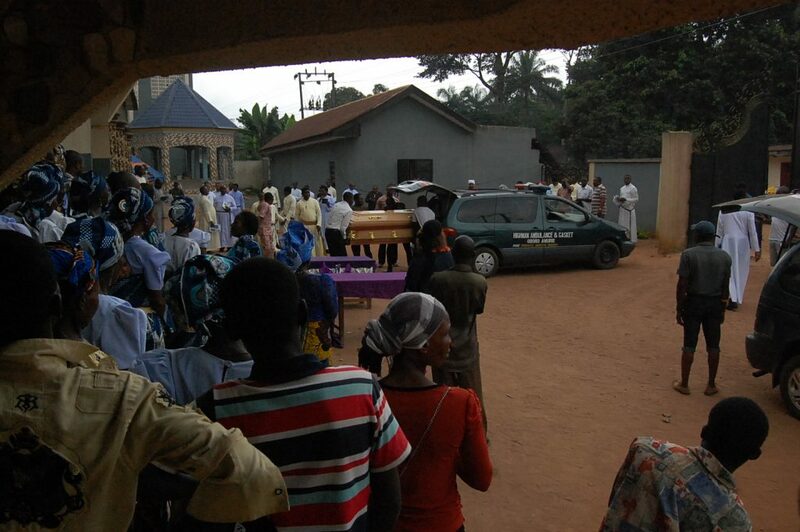 At the gravesite, everyone had gathered to bid Nwa-offor final farewell. It was time to cry. One light-skinned woman standing next to me trumpeted a loud screech; tears cascaded down her cheeks. Her eyes, red and swollen; she was sad to stupor, so was everyone, including me. The burden, the pain—etched on our faces. 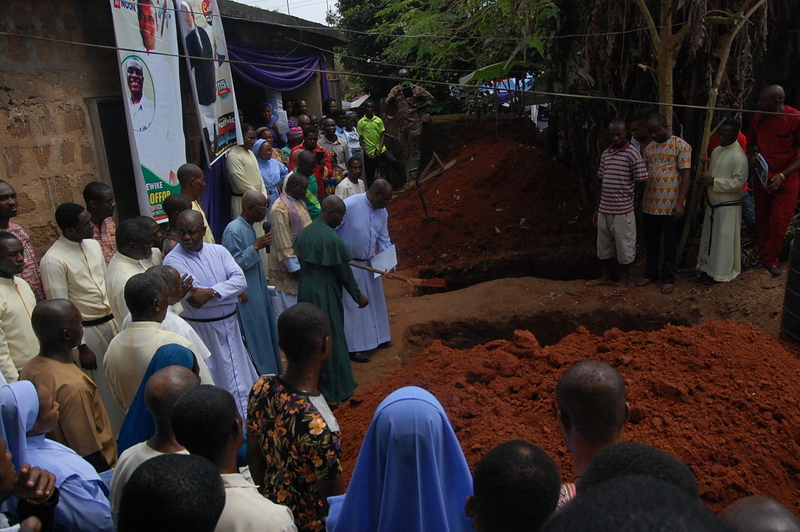 After the prayer at the gravesite and the blessing of the tomb Nwa-offor remains was lowered down six feet. Within a twinkle of an eye, Nwa-offor casket was covered in red sand after the usual “from-dust-to-dust ritual”. Nwa-offor was buried alongside his father. He never became a priest.